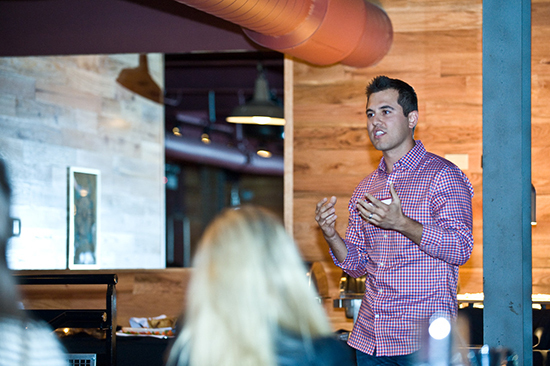 We chatted with Nick Perrino (Home Run Inn) recently about his experience in the Next Generation Leadership Institute. Check out what he had to say and learn more about how you can enroll here. Our kick-off is happening May 4-5 at Loyola’s Retreat and Ecology Campus. Why did you enroll in NGLI? I decided to enroll in NGLI for three reasons: to learn new strategies/tactics to help our family business grow, to develop on a personal & professional level and to learn from other family businesses/peers who were going through similar experiences. What did you expect going in and how did those expectations change by the time you graduated? I expected to meet new people in a similar situation as me and learn different strategies & tactics to help our business grow. These expectations were all met; however, I never expected to build the friendships that I did over a two year time frame. I now have a core group of individuals that I can lean on and who will challenge me to get better. I discuss extremely personal topics with them all while knowing that everything will remain confidential. How has NGLI impacted you (personally and as a leader)? When it comes to leading, you need to know yourself first before you can effectively lead any organization. NGLI helped point out different strengths & weaknesses that I was unaware of. It gave me ways in how I can effectively manage all those traits and use them in a positive way. What part of the course was most useful? I really enjoyed the personal/self section of the course. I am always seeking ways to get better personally and I love learning what weaknesses I have so I can turn those into strengths. Have any other family members participated? Yes, my sister went through the program as well as my brother-in-law and cousin. What did you think about the time commitment and length of the program? I thought the time commitment/length of the program was perfect. I never felt overwhelmed trying to get my job done and keeping up with the course curriculum.